Surprise Your Guy With These Funny Valentine Love Notes- So Festive! Surprise your husband on Valentine’s Day with these fun & punny printable love notes. If you’ve followed along here for a while, you know that we love making Valentine’s Day a family celebration. In fact, you watch my KSL Studio 5 Segment where I talked all about 5 Ways to Make Valentine’s Day a Family Celebration right here. And while I still love making it a family celebration with a festive dinner or activity, I also love making is special for my husband. 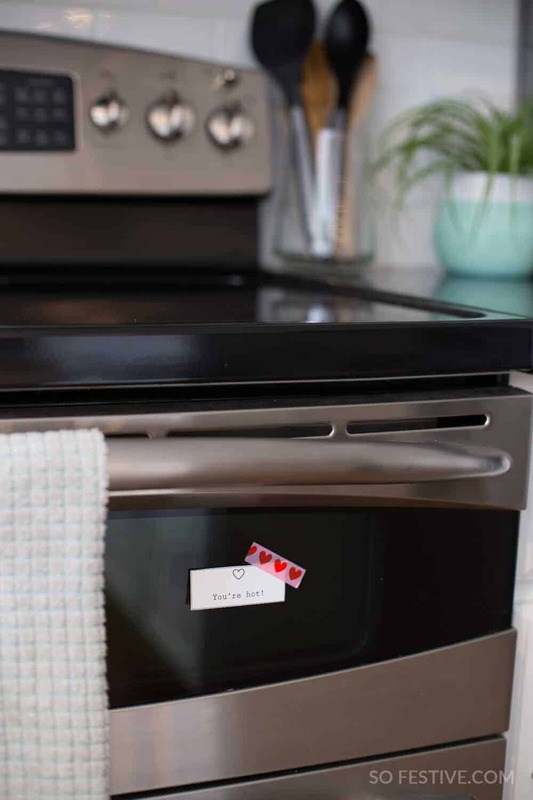 If you want to surprise your husband this Valentine’s Day, leave some fun and punny love notes around the house. Print off the notes (download at end of the post) and cut. 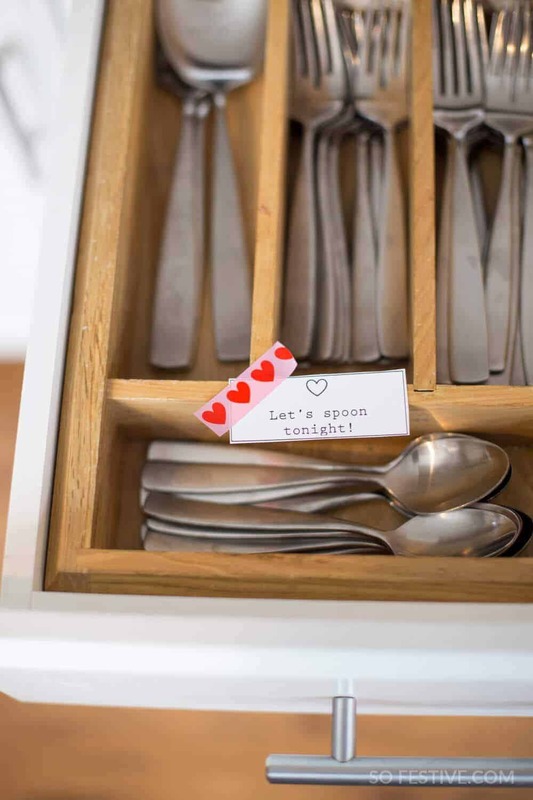 Using festive Valentine’s tape if you have it, attach the notes around the house, wherever the note is referring to. For example, “You’re Hot” will be placed on the oven or stove. Put them up the night before Valentine’s Day so that he’ll see them when he wakes up in the morning on Valentine’s Day! 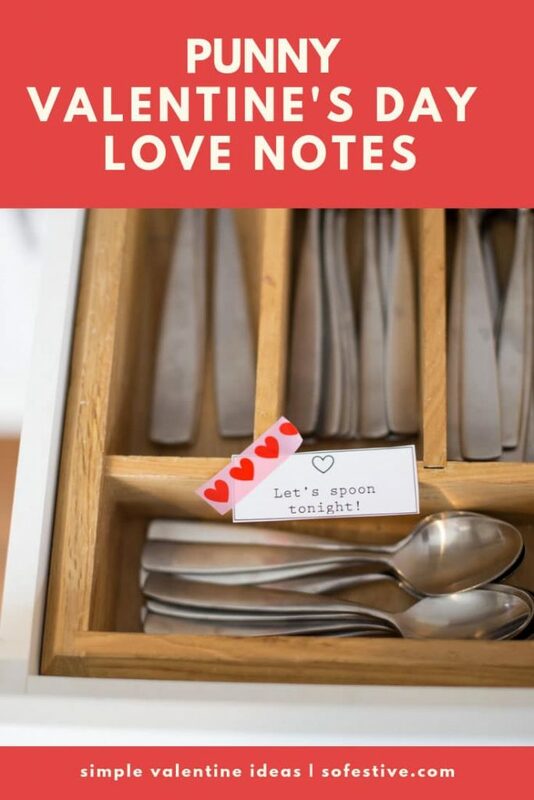 For an extra exciting game: give your husband the challenge to find all of the love notes and if he does…he gets a prize. Wink wink. I “see” so much goodness in you– attached to the mirror. I a-“door” you- attached to their car door or front door. I think we’re a great pair- attached to their shoes or a pair of socks. Ready to Love Note It Up? I’ve made it easy for you by creating 28 classy and simple printable Valentine love notes. 7 blank love notes if you want to add any of your own! The download will be emailed to you immediately. Print as many copies as you like.